The flavor text should bring solvers to Building 2, and should also clue them that this puzzle works modulo 26. 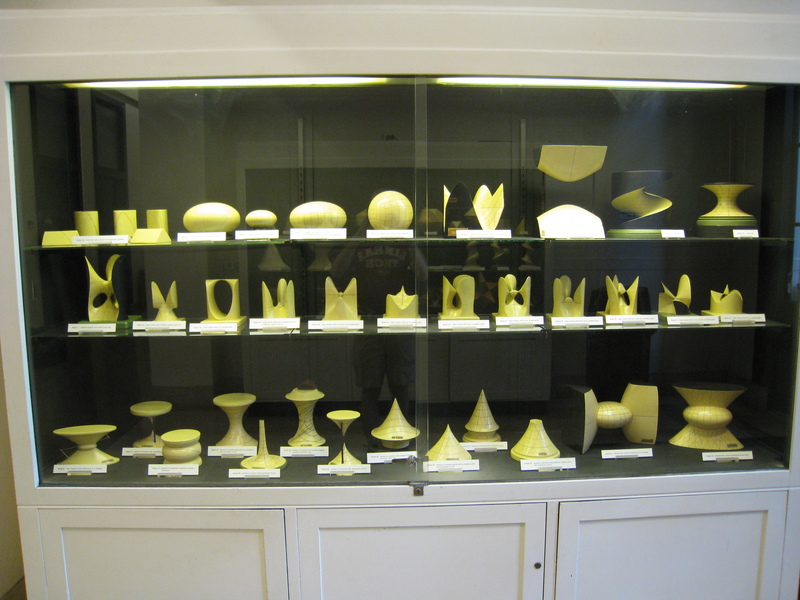 On the first floor of building 2, near the entrance to Killian Court, there is a glass showcase filled with mathematical models. Identify the model corresponding to each clue, and take the number of the model modulo 26. The equations given are not precise matches for the objects, but they are reasonably close, and they always match exactly the descriptions on the placards. I don't always clue all the details on every object, but I clue enough to be completely disambiguating. Using the familiar A=1, B=2, etc code, this spells SIX-ANGLED, cluing the answer HEXAGONAL.